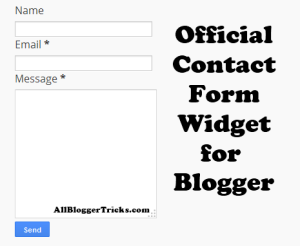 As +Prayag Verma of Stylifyyourblog.com wrote on his post on 02 April 2013 that blogger is working on Contact Form. He found out CSS codes for Contact form from the bundle css file which is by default in every blog. That Contact form is released now. Just prior to Google I/O 2013 all Google products are really working hard to improve their services and the same goes for blogger. You don't have much options to edit this form. If you know basics of CSS you may use inline CSS in your blog to edit it. 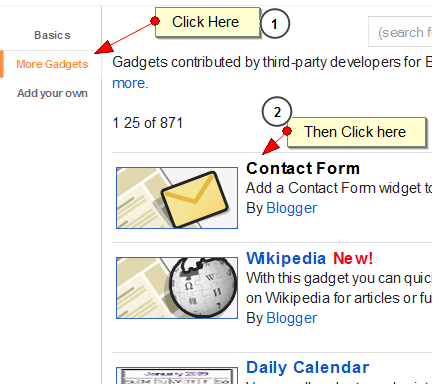 Whenever someone sends you a message through this from it will directly go in your email which is linked with Blogger. Adding this widget is quite easy. Just follow the below steps to add it.